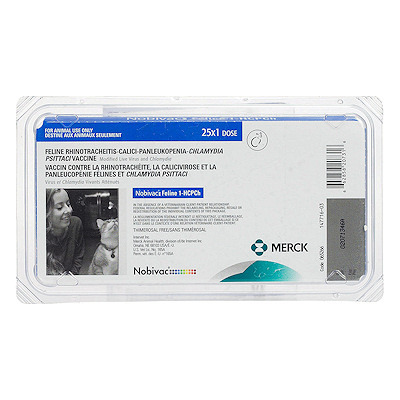 Nobivac: Feline 1-HCPCh (4 way vaccine) by the (Merck) is a Feline Rhinotracheitis-Calici-Panleukopenia-Chlamydia Psittaci Vaccine. One-year duration of immunity study demonstrates improved protection against chlamydia challenge. Long history of proven protection. IM or SQ administration. Order syringes and needles seperately.